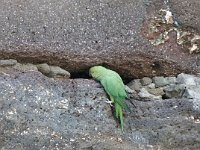 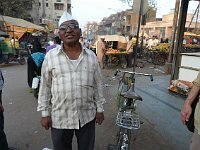 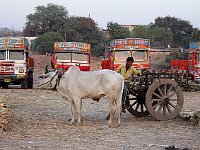 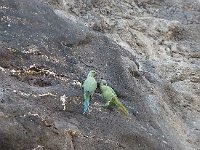 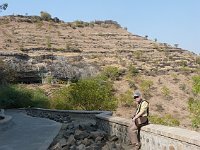 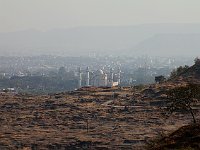 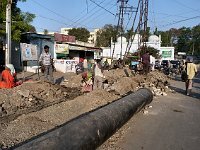 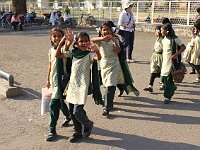 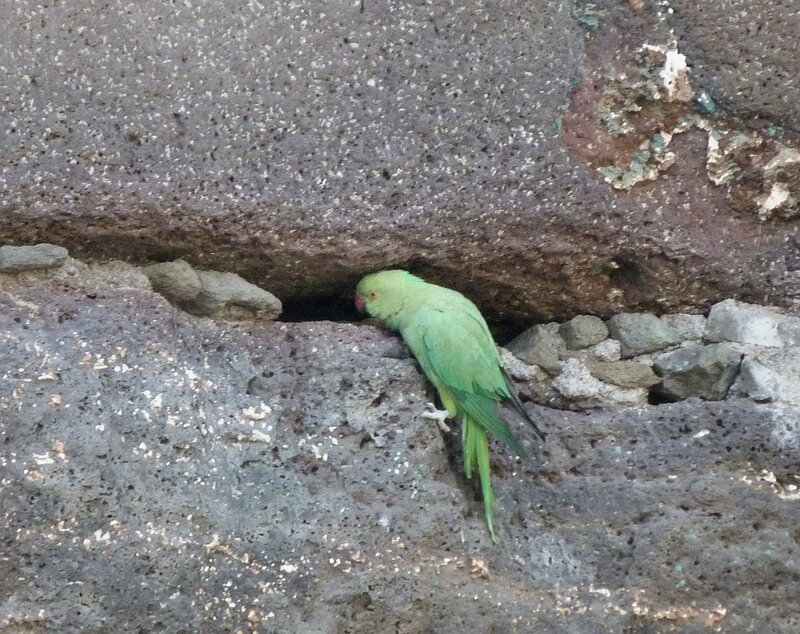 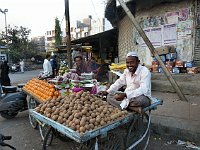 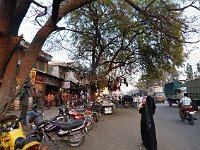 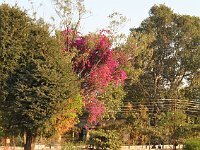 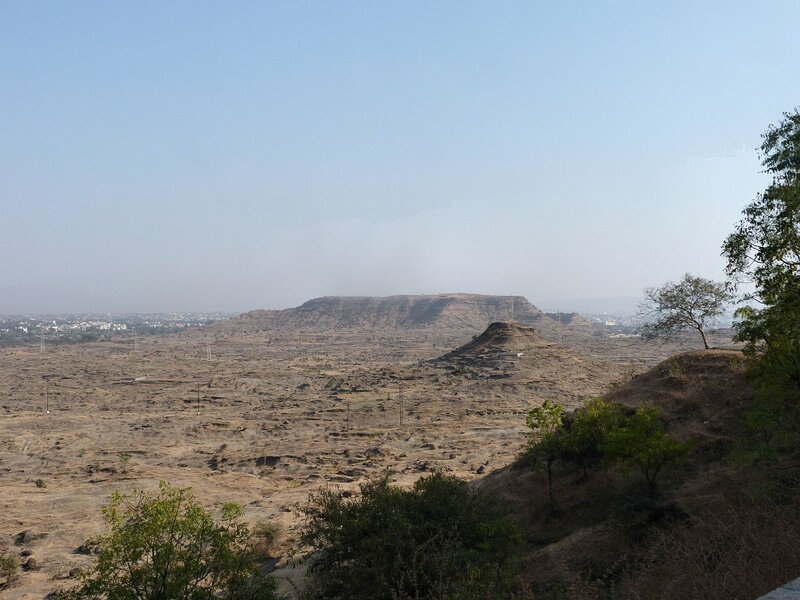 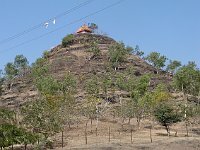 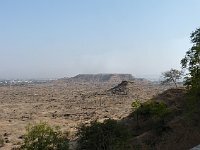 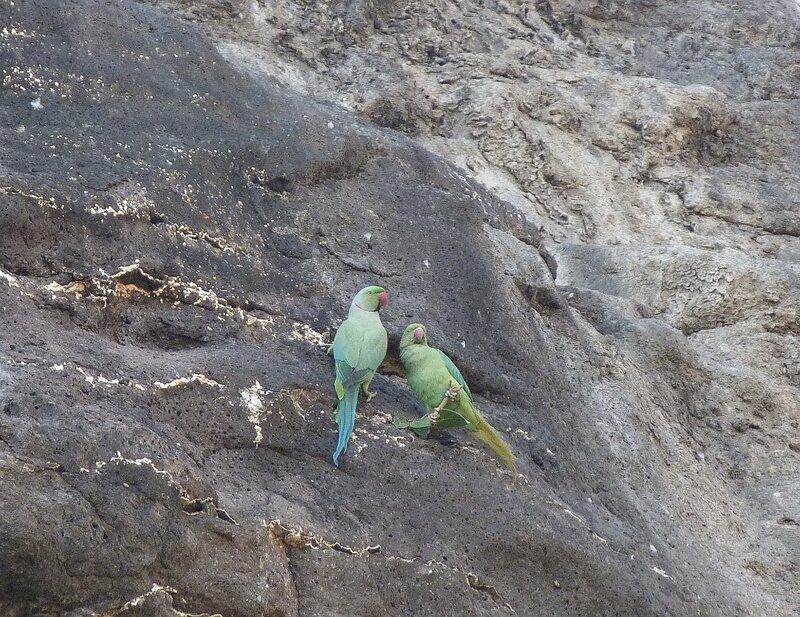 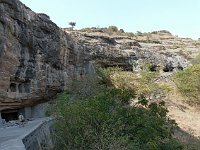 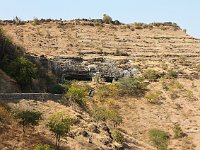 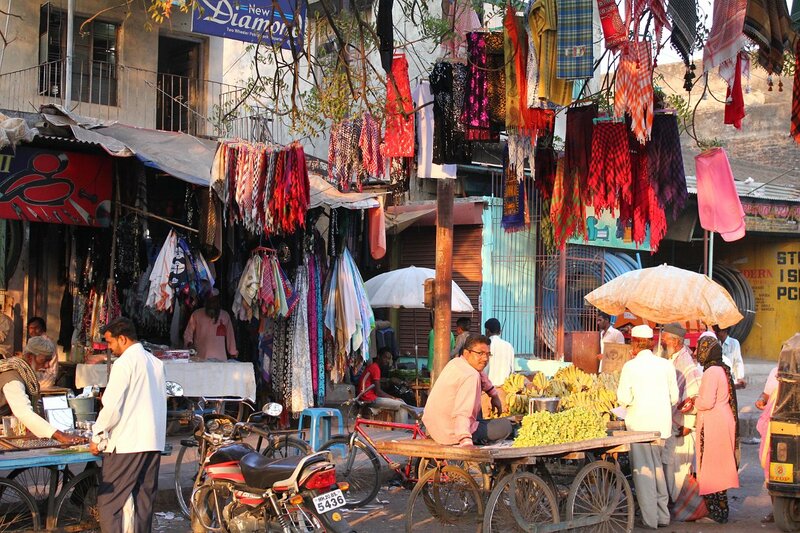 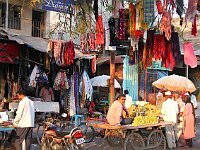 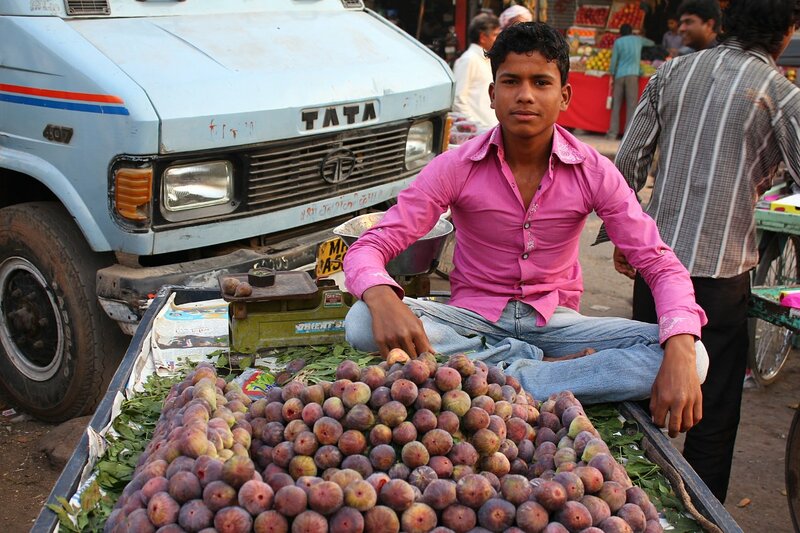 We stayed in Aurangabad mainly because of its proximity to the Ajanta and Ellora caves, but the city was interesting too. 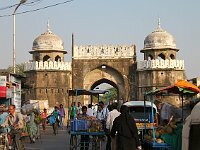 It is called the "City of Gates" because of the 52 remaining gates from the old city wall. 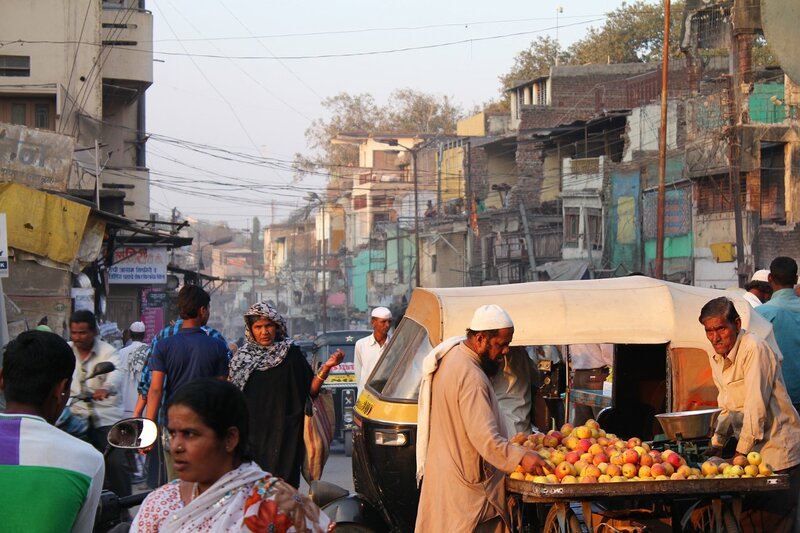 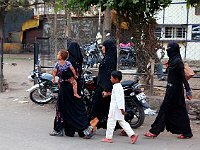 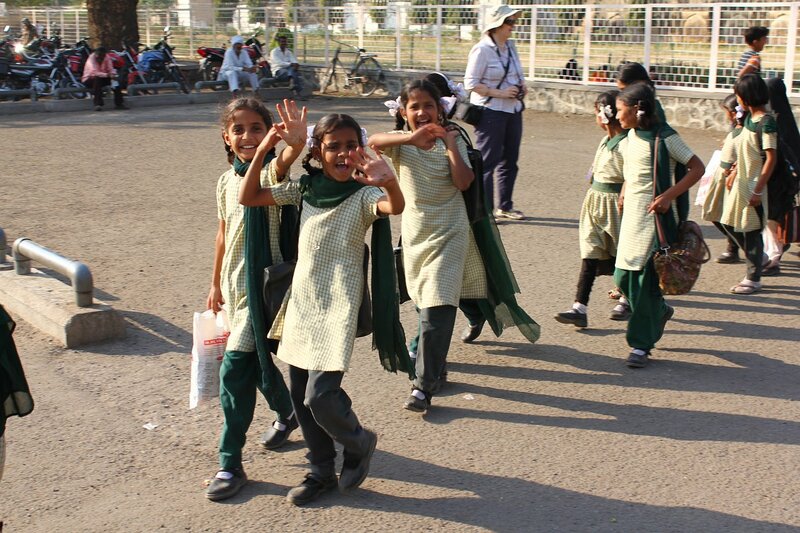 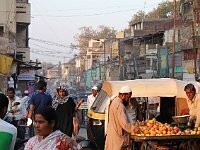 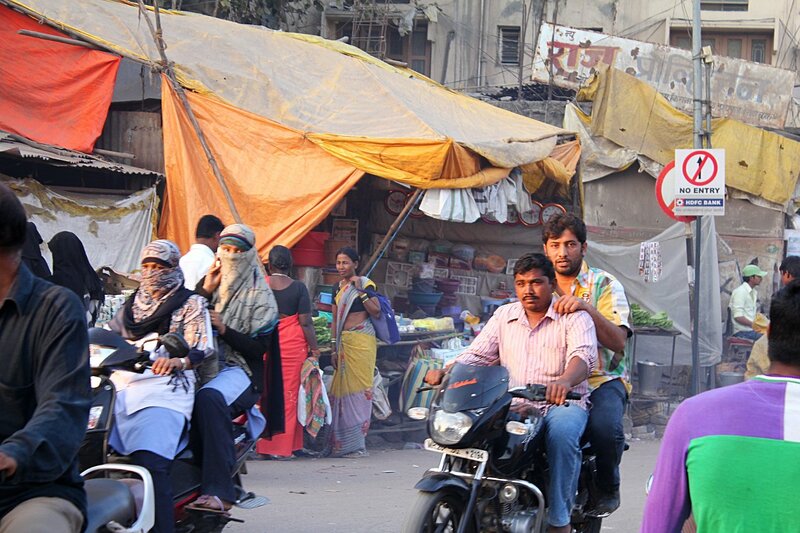 The Muslim population is quite high for India, 39%, compared to the national average of 13%. 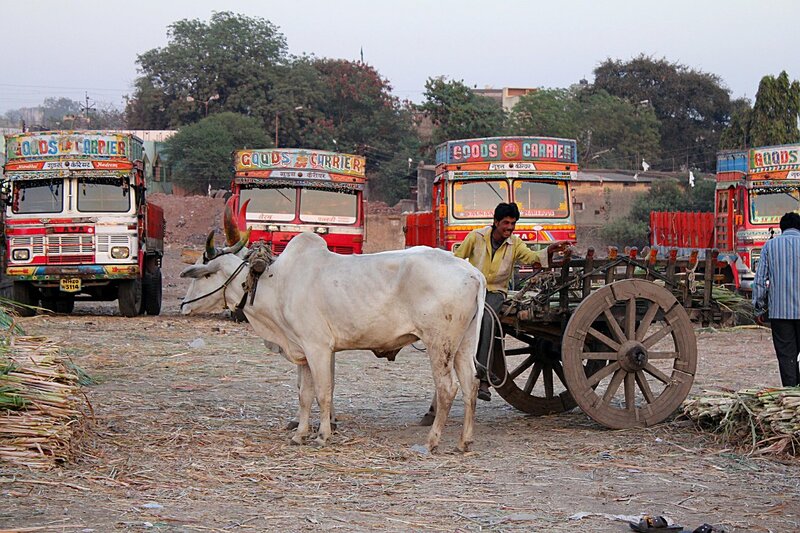 Our driver was clearly proud of this great ethnic mix. 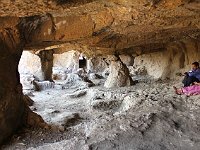 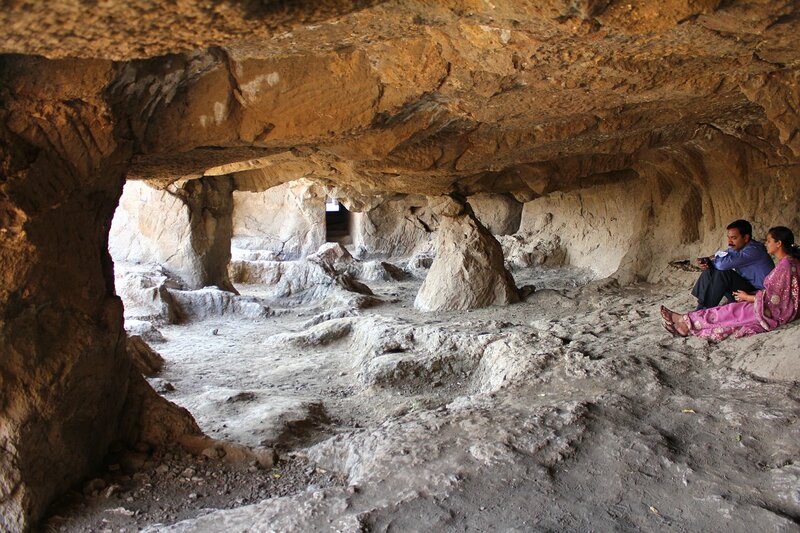 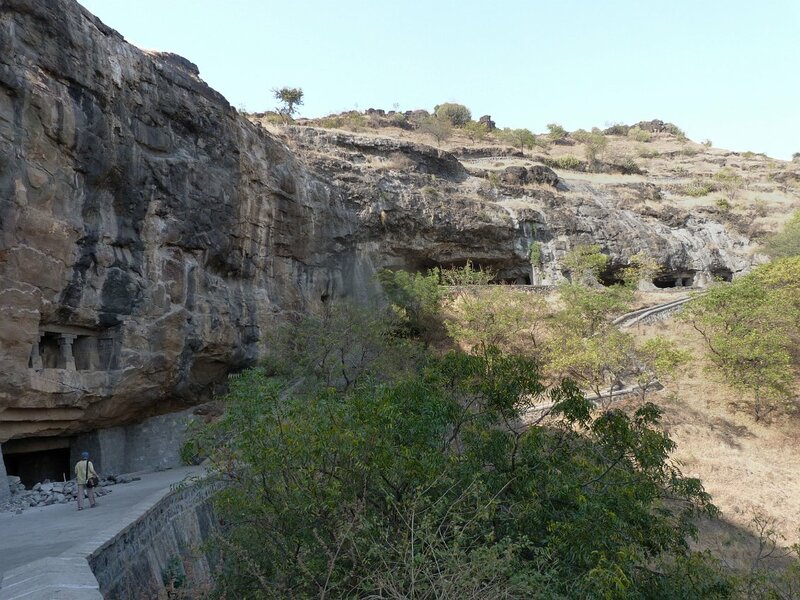 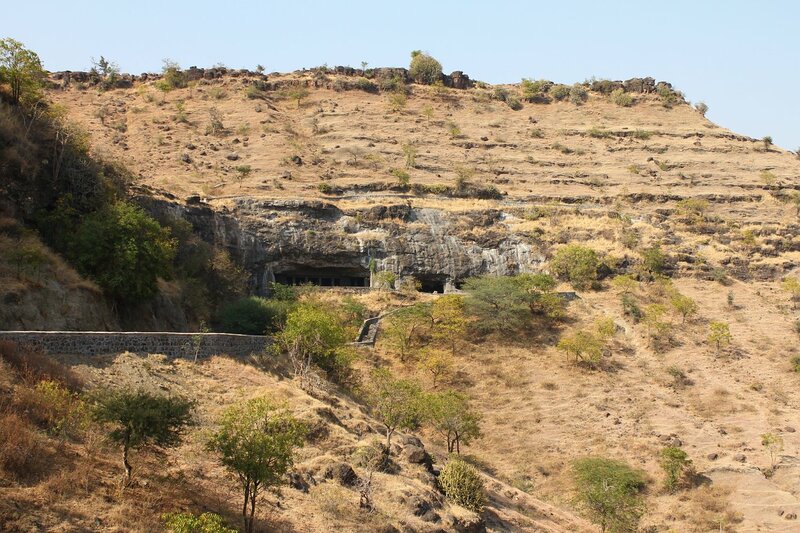 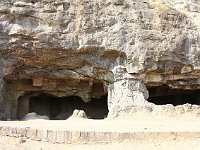 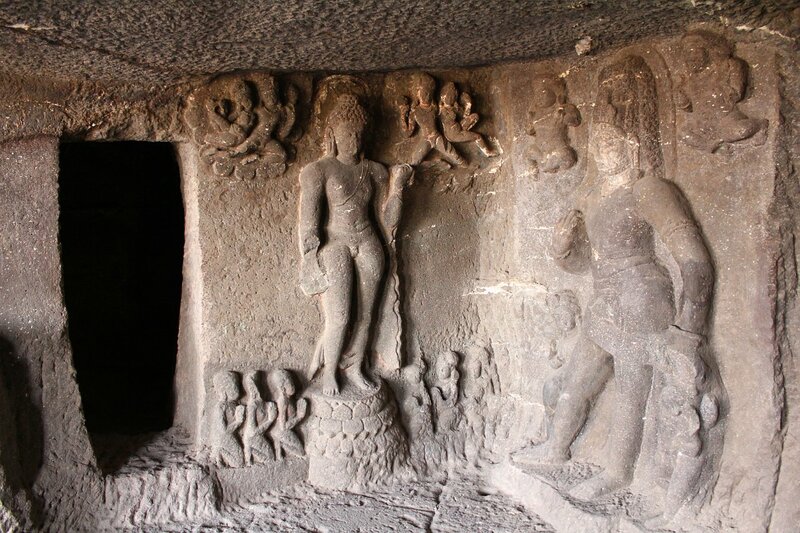 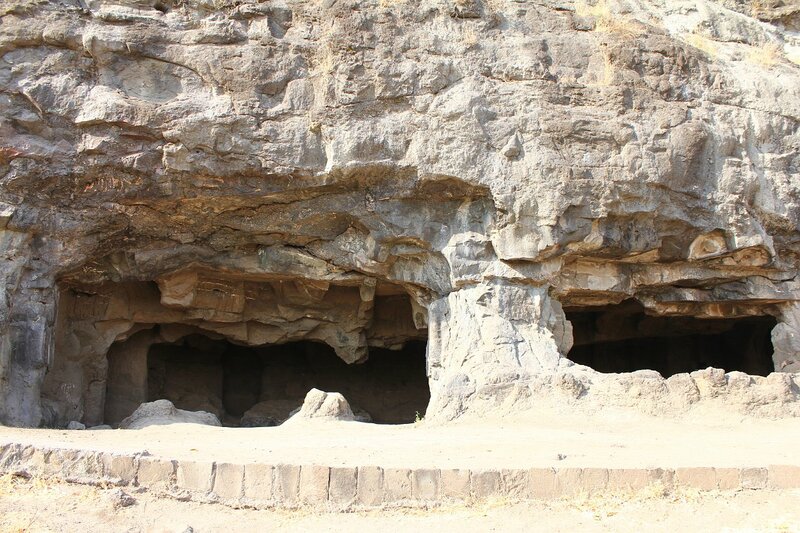 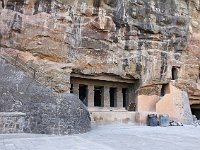 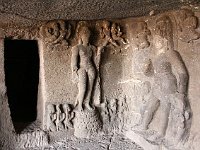 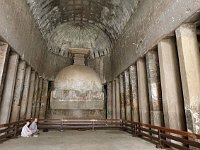 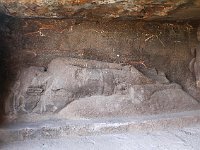 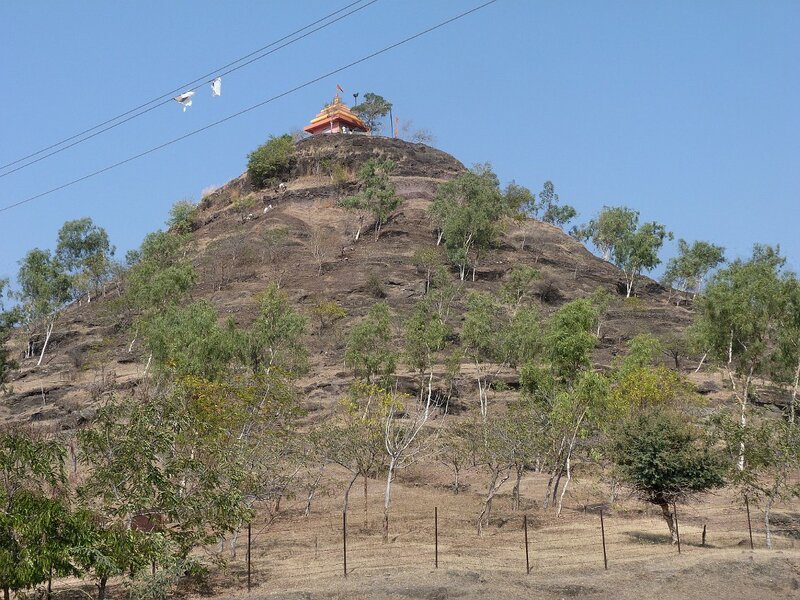 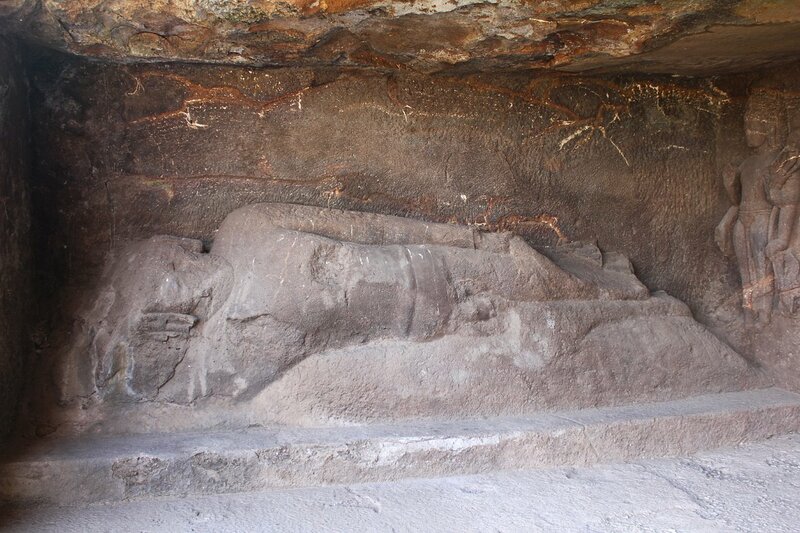 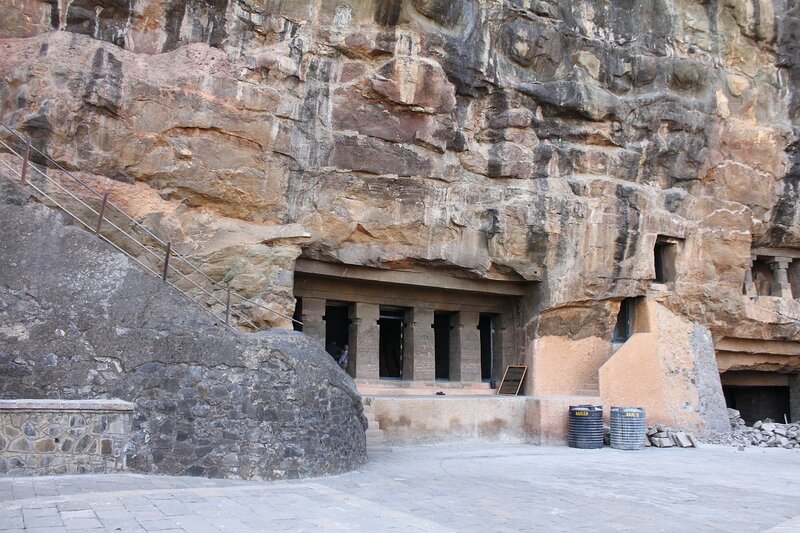 2 Aurangabad The peaceful Aurangabad Caves were carved out in the 6th or 7th century by Buddhists. 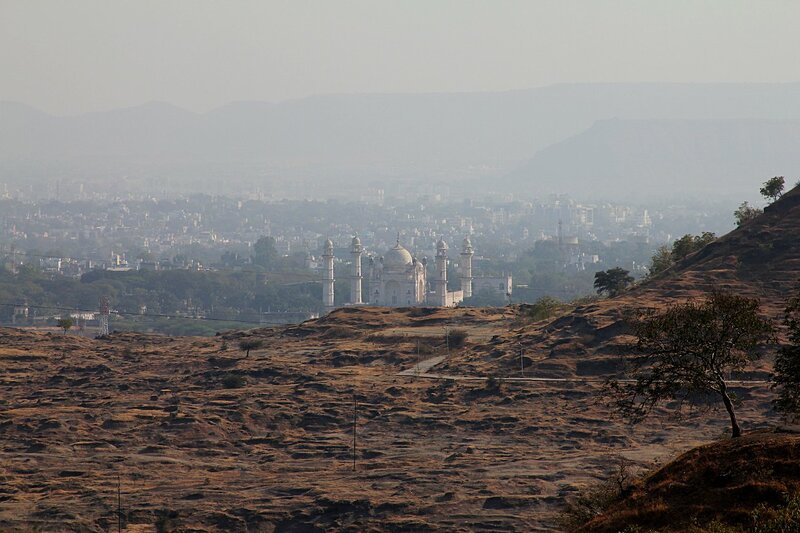 12 Aurangabad View from the Aurangabad Caves towards the city, with the towers and dome of the Bibi-qa-Maqbara in the foreground. 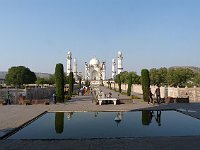 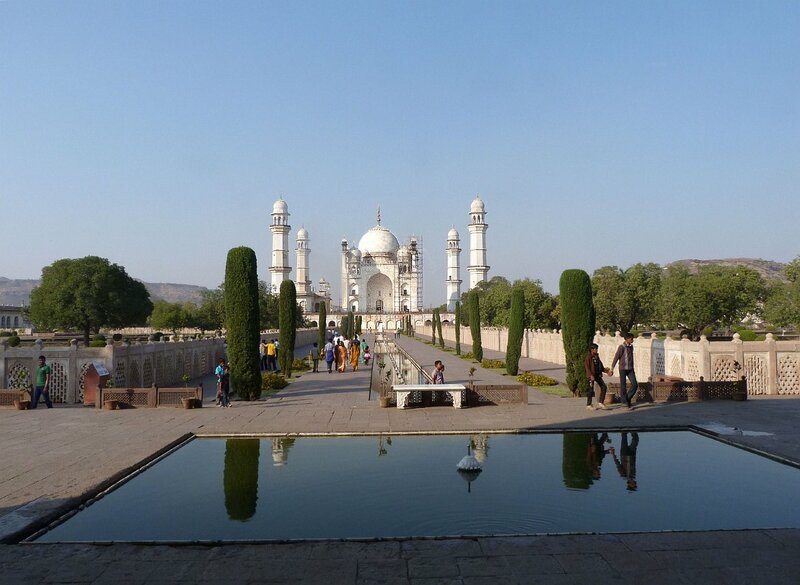 15 Aurangabad The Bibi-qa-Maqbara, aka the "poor man's Taj", was built by Aurangzeb for his wife in 1679. 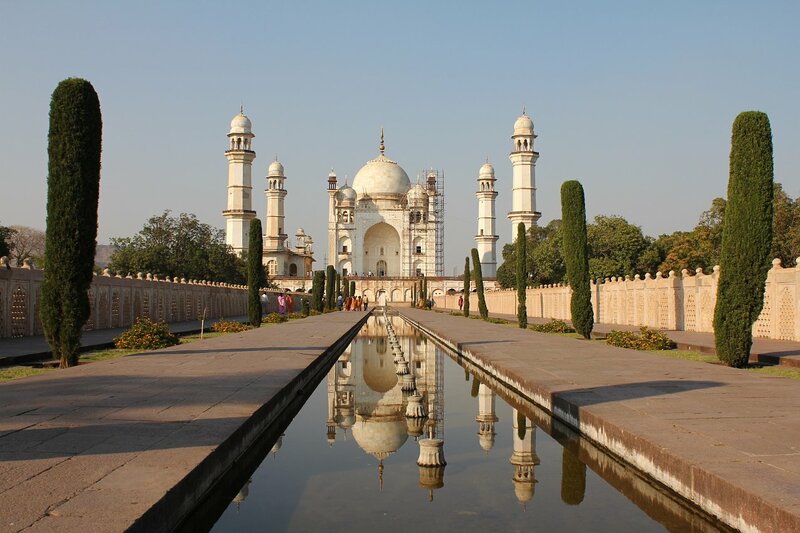 As anyone can see, it is patterned after the tomb Aurangzeb's father built for his own wife in Agra. 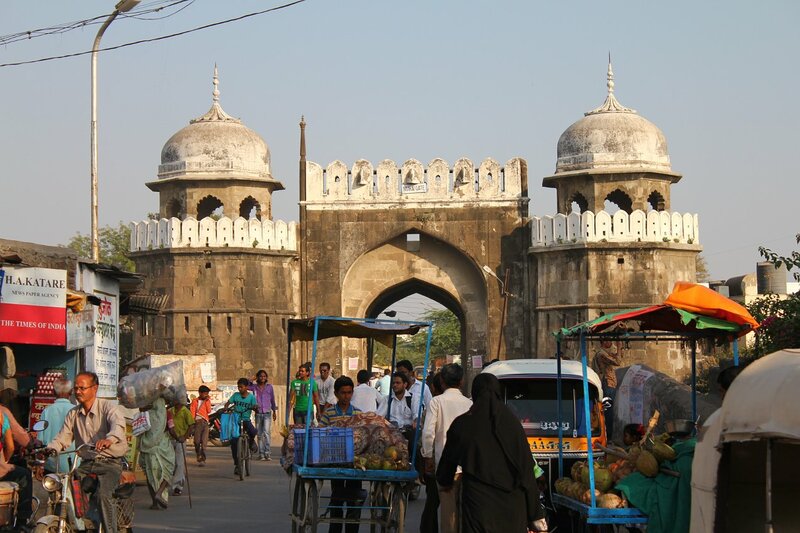 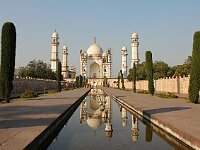 17 Aurangabad Aurangzeb, the last of the great Mughal emperors, made Aurangabad his capital from 1653 to 1707. 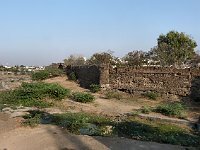 This is part of the old city wall. 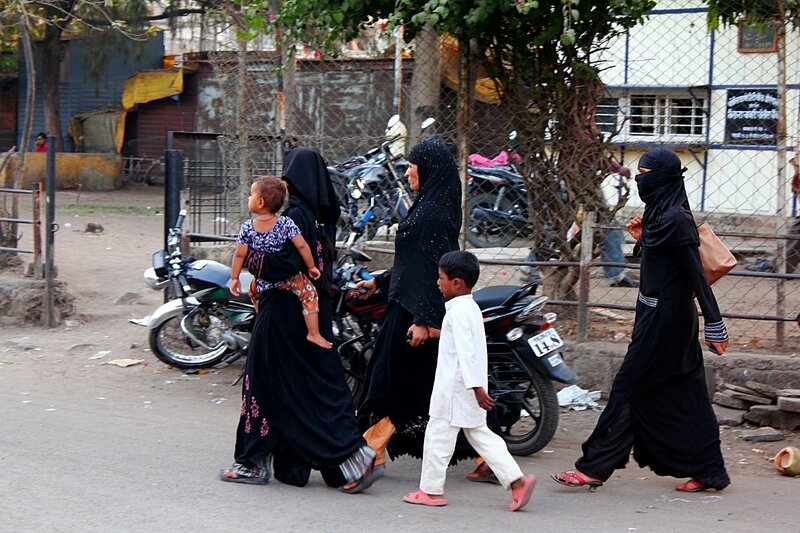 19 Aurangabad Ladies using a curious Indian implement, sort-of a cross between a pick and a hoe, to dig a ditch. 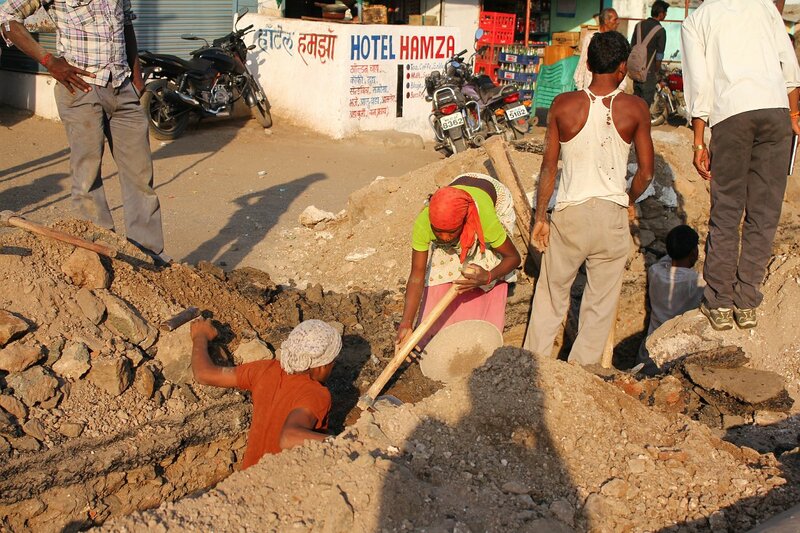 Note the man, who is "supervising". 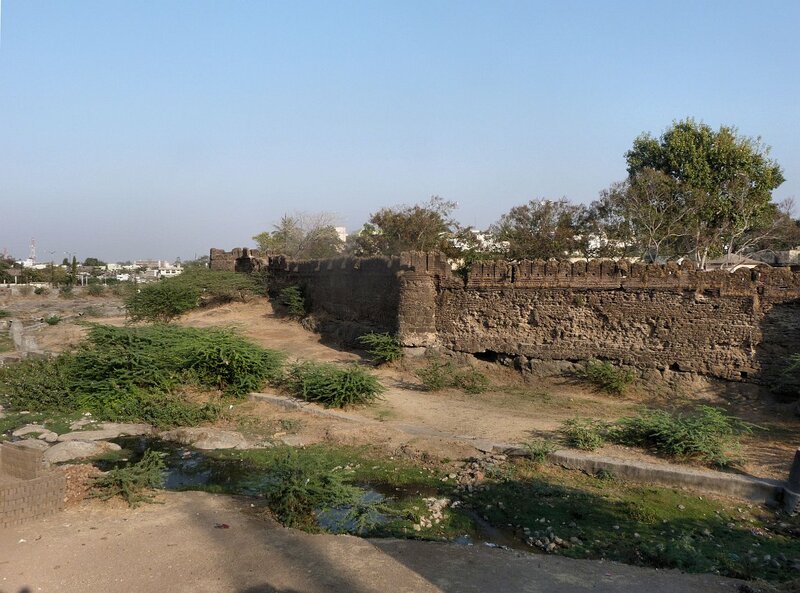 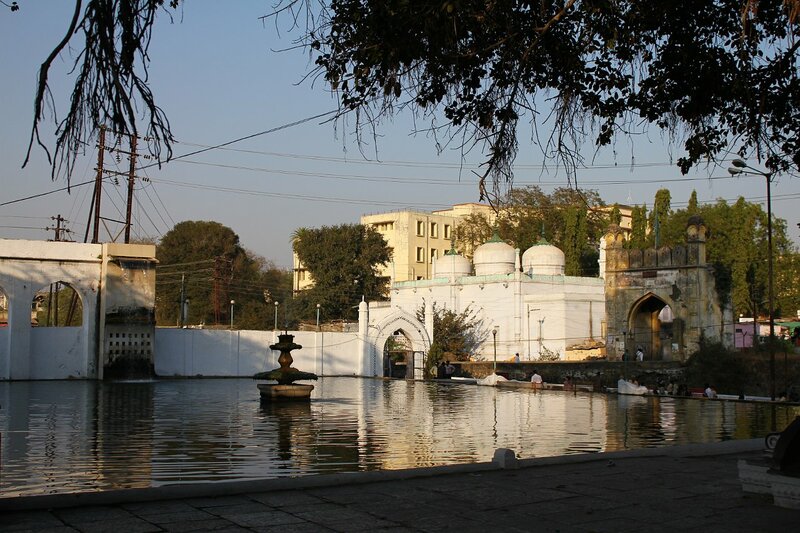 21 Aurangabad A small mosque area called the Panchakki, after an ancient water wheel which it appears you can still see. 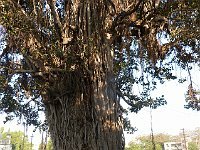 We could not. 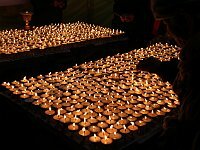 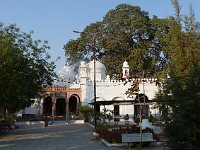 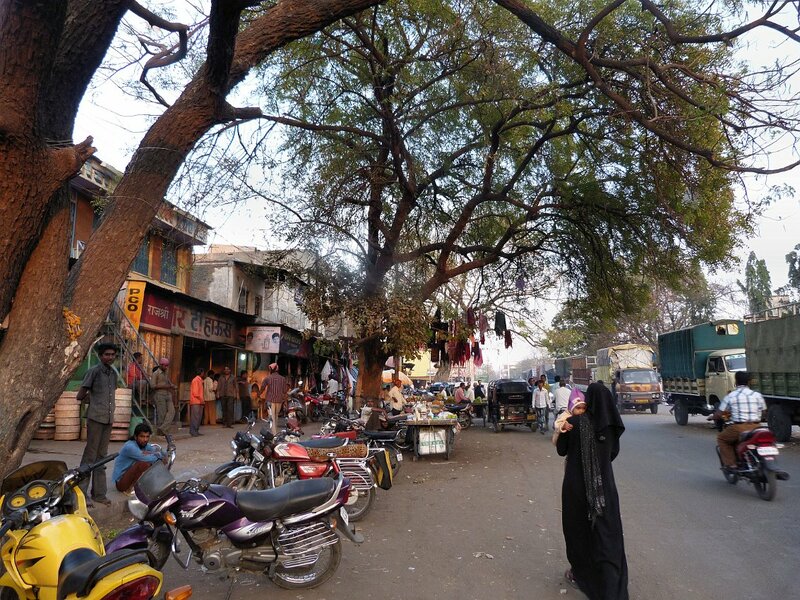 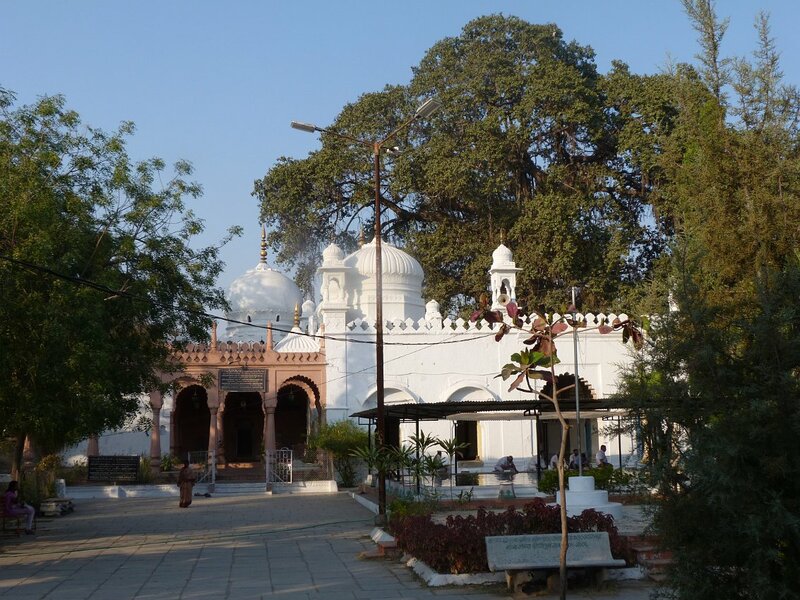 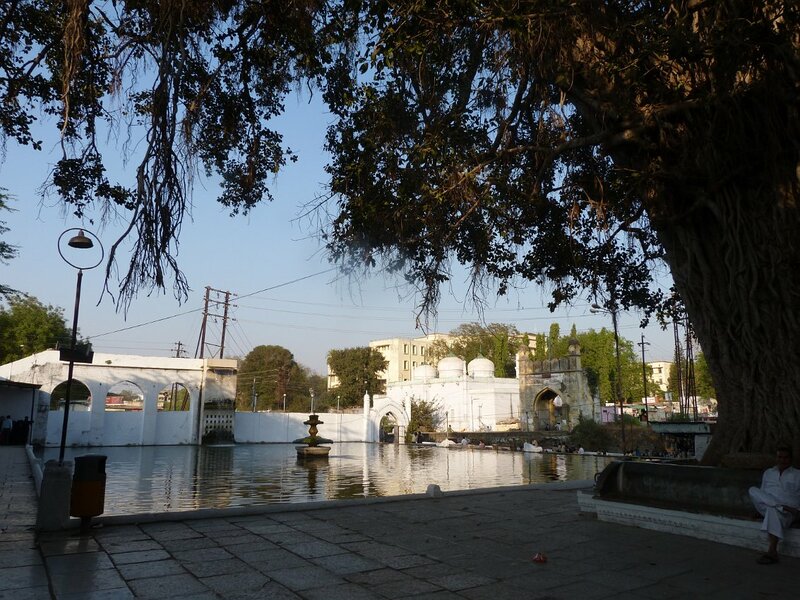 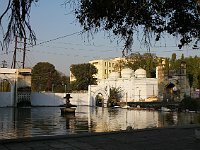 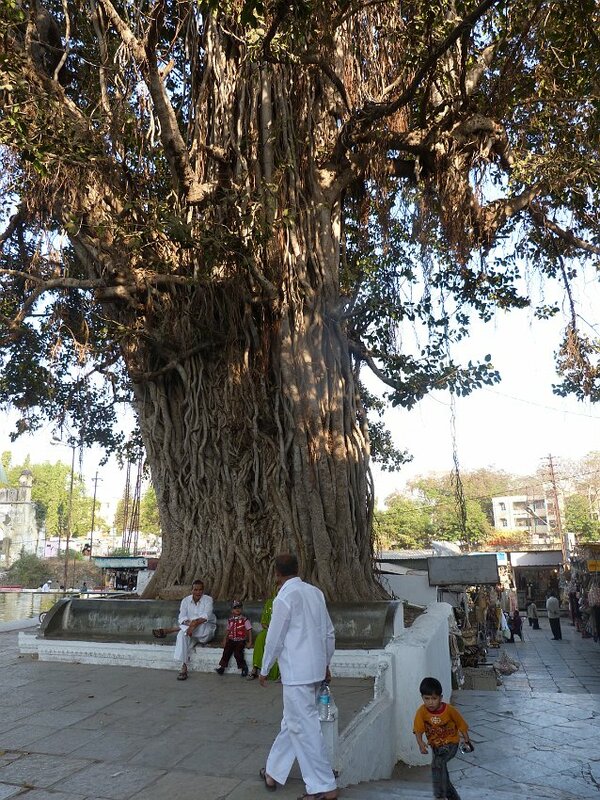 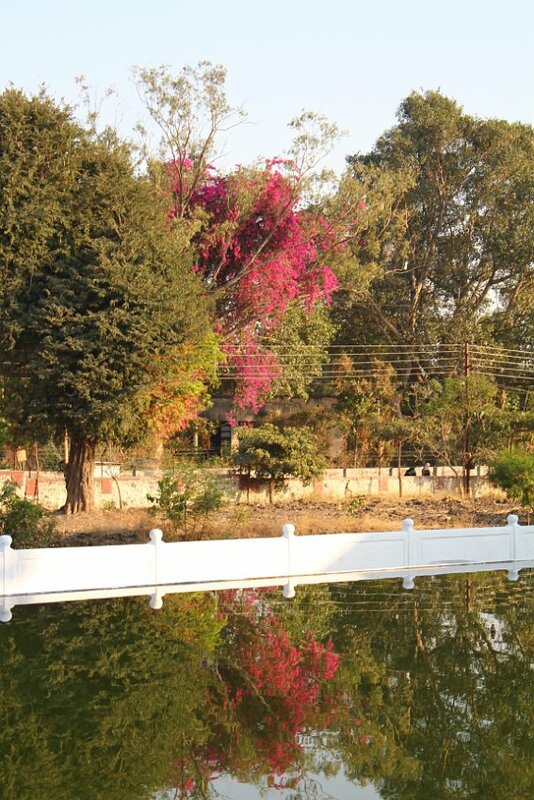 22 Aurangabad The peaceful Panchakki area is a memorial garden around the grave of a Sufi saint, Baba Shah Muzaffar. 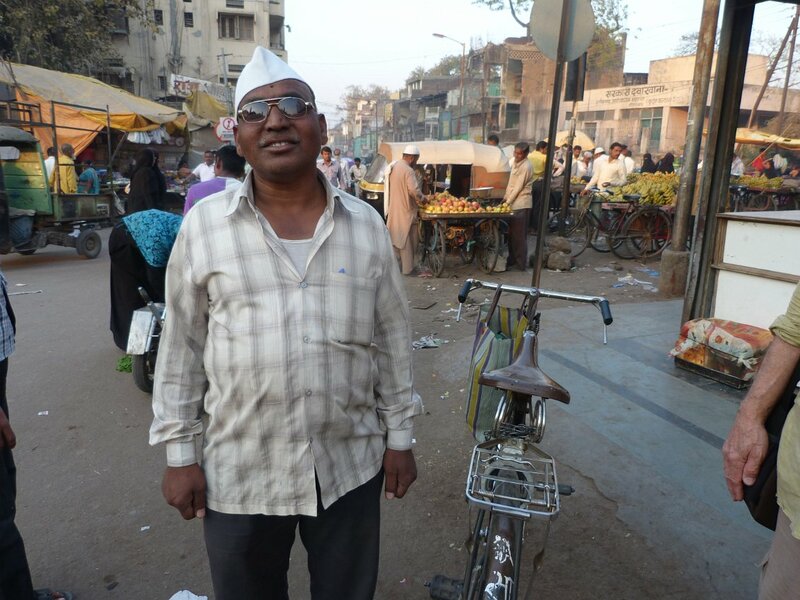 30 Aurangabad This gentleman wanted his picture taken, so Siv took it.